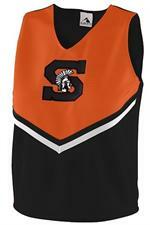 Wide selection of cheerleading shells and skirts in all school colors that can be mixed and matched by manufacturer to create the perfect look for your squad. Be the hero by getting your girls dressed faster than any other group! 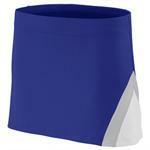 These shells and skirts ship within 1-3 days if they are plain and 5-7 days if they are lettered. Custom twill lettering available if you are ordering at least 6 shells. If you need other items not listed, check out the rest of our website or contact us and we'll be glad to help. And our other commitment is to make sure you get your squad dressed in time. If we see that any sizes or colors are backordered or out of stock, we will contact you right away so we can decide on a good alternative. Email michelle@acdsports.com if you have any questions - always happy to help! For best matches, choose the same manufacturer for your shell & skirt! 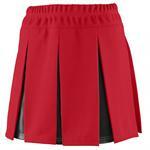 Pike cheerleading shell 9140 ladies 9141 girls comes in 8 great colors and matches Pike cheer skirt. Poly/Spandex, great fit, by Augusta. 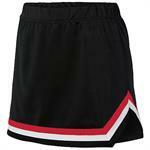 Pike cheer skirt comes in girls and ladies sizes, matches Pike cheer shell, August 9145 9146. 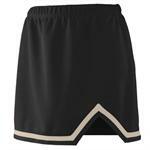 Great poly spandex fit and style at a super price! 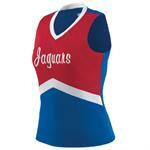 Pride Cheer shell made of 100% polyester double knit in girls and women's sizes in many great color combos.